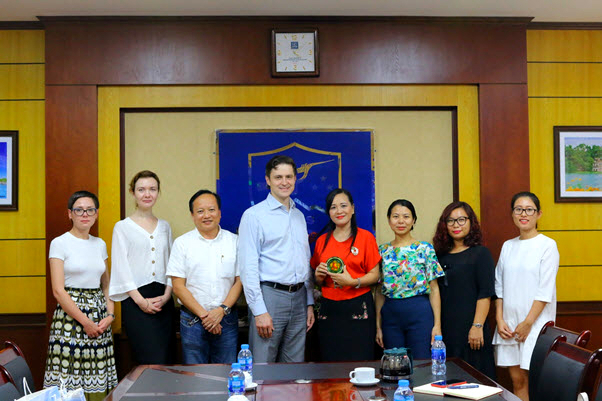 On September 20th, 2018, the University of Languages and International Studies – Vietnam National University had a meeting with representatives from Ural Federal University and Tula State University, Russia Federation. On the side of ULIS, the meeting was attended by Assoc. 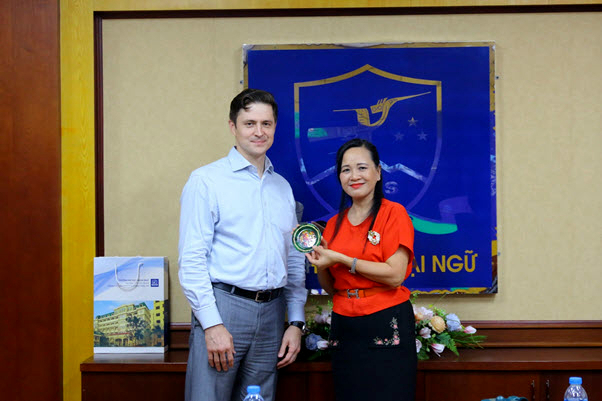 Prof. Dr. Ngo Minh Thuy – ULIS’s Vice President, Dr. Do Minh Hoang – Director of Cooperation and Development Office, Dr. Dinh Thi Thu Huyen – Dean of the Faculty of Russian Language and Culture. The Ural Federal University was represented by Mr. Andrei Valierevich Patrushev – Director of the Center for International Student Mobility and Recruitment and Ms. Elena Essyyak – Head of the Student Admission Division of the Center. From Tula State University, there were Ms. Olga Dmitrievna Gladkova – Acting President of the Institute of International Education taking part in the meeting. At the meeting, representatives from ULIS ​​and two universities of Russian Federation proposed and discussed the orientations for future cooperation. 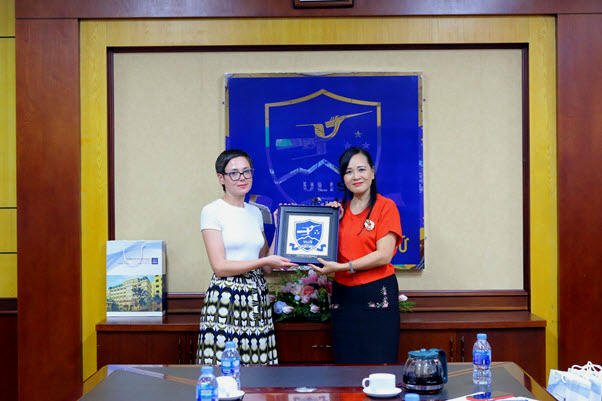 Ural Federal University wished to cooperate with the ULIS in areas such as Vietnamese language training for Russian students, Russian preparatory training for Vietnamese students, collaborative undergraduate and postgraduate programs, joint researches, student exchange programs and participation in cultural promotion projects. Representatives from Tula State University also expressed their willingness to cooperate with ULIS in organizing short-term summer camps, student exchange programs as well as inviting Vietnamese experts to attend seminars in Russia. Addressing at the meeting, Vice President Ngo Minh Thuy spoke highly of the feasibility and effectiveness of proposals from the two universities. ULIS ​​is looking forward to promoting the cooperation with Russian universities, including two of the most prestigious and reputable universities, Ural Federal University and Tula State University. 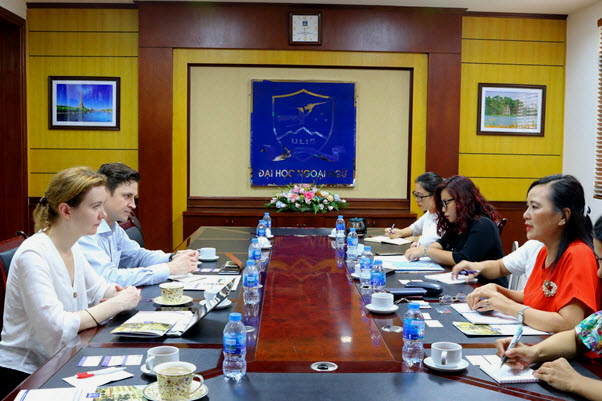 At the end of the meeting, representatives from the three sides agreed on an instant promotion of cooperative activities, starting with student exchange and receiving Russian students coming to ULIS to learn Vietnamese. The specific contents will be further discussed in order to reach the signing of a cooperation agreement in the coming time. Ural Federal University is one of the top educational institutions in Ural. It operates as a research and innovation center of Ural and has a strong collaboration with the Russian Academy of Sciences. Ural Federal University was merged from two Ural’s top universities, namely the National Technical University of Ural, which was named after the first president of Russia, Boris Yeltsin and the National University of Ural named Gorki in 2011. The National University of Tula is the largest university at the center of Russia Federation. Currently, more than 20,000 students, 400 PhD students and fellows in science, including more than 600 foreign ones from 30 countries, are being trained here.